The release concert for this gem was at the Cornelia Street Cafe, a tiny sliver of old Greenwich Village - from a time before all the frozen yogurt, macaroon shops and luxury condos. You can still line up to squeeze into the basement of the club and enjoy some insanely good music. Malaby's Tamarindo hit the stage there last year to play 'selections' from Somos Agua, or rather, music like you may find on Somos Agua, because as far as I can tell, this is music that can only really happen once. This release though does a great job capturing the trio, sounding as alive on the CD as they did on the stage that night. 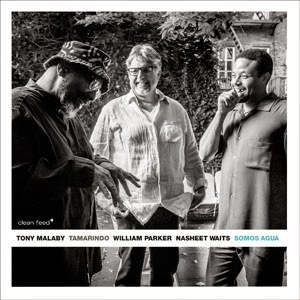 Between the interactions of bassist William Parker, drummer Nasheet Waits, and of course saxophonist Malaby, there is so much to hear. The great strength of Tamarindo, to my ears, is the way Malaby will play inside, outside and all around his saxophone, but never once will it sound out of place with whatever else is happening. Maybe it's Waits, whose drumming can be subtle and reactionary, exploratory and reserved, or rumbling and aggressive like on the opening "Mule Skinner". 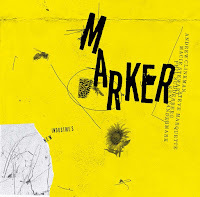 Or maybe credit goes to William Parker, whose participation on a session does not necessarily guarantee its success, but seems to come pretty damn close. His playing, whether arco or plucking a pulsating bass-line, directs individual embers into a mighty conflagration. But no, the credit goes to the whole combination, a trio of musicians who really know how to craft a sound. As I write this, it may seem that Somos Aguas is a powerhouse of a album, burning on all cylinders, And while these three are more than capable of making your old CD player combust, here they often hold back the volume a bit and explore the tensions and textures. The follow up to Mule Skinner is 'Lorretto', in which space is used along with light extended technique to evoke a certain melancholy. '*matik-Matik*', up next, is an upbeat tune that relies on a tasty melody that spins our of Malaby's horn over time. 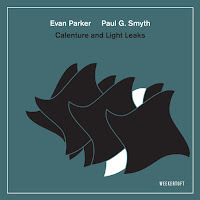 Here, Parker and Waits syncopated play gives Malaby something in which to get entangled. the group expertly turns up the heat on this one - it is an absolute album highlight. Honestly, almost the same can be said about "Can't Find You ...", another slow build that reaches an apex and then crumbles wonderfully as the trio deconstructs what they just built. This outing from Tamarindo is really enjoyable, all three are master at their craft and what they accomplish together is certainly well crafted, but free and exciting. By amping up the quiet - so to speak - Somos Agua's high points are that much higher and the quieter stretches are nuanced and captivating. 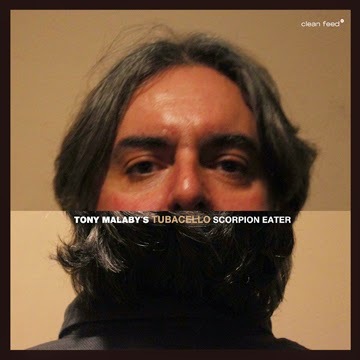 "This band has a different type of gravity that playing with just a bassist simply doesn't have," writes Tony Malaby about Tubacello, the group behind his latest Clean Feed recording Scorpion Eater. Needless to say, Tubacello, a new configuration for the saxophonist, is a bottom heavy combination - with tuba and cello adding new textures and sounds that are not too often heard in free jazz. The group joining Malaby is Chris Hoffman on cello, Dan Peck on tuba and John Hollenbeck on drums. It's not just the instrumentation that make it different, but really in how they jell. 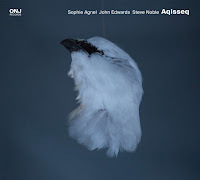 In fact, after giving this a listen, I am reminded a bit of how the fantastic Dogon A.D. from Julius Hemphill made my jaw drop when I first heard it - especially in regards to how the cello introduced such rough hewn textures to the lurching grooves. Forty three years later, Scorpion Eater, though a much different recording, still introduces something unexpected and moving in its rich sonority. The low frequency of the combo is really quite versatile and gives Malaby a lot of room to experiment. For example, on ''Buried', which opens the recording, the track beings mid sentence, so to speak. 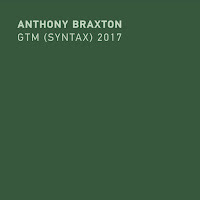 The group, already in full motion, shows off its full range of sound and fury between a syncopated melody that introduces and ends the short piece, and leads into the uptempo 'Trout Shot'. 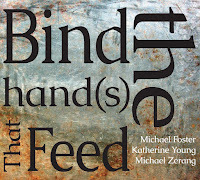 The track 'Fur' is a textural piece with sounds floating in the background as the instruments play slow measured lines. 'March (For Izumi)' sees the sax playing in the upper register with the cello providing counter motion in the lower middle, while Peck ably handles the bass role. 'Bearded Braid' slows things down. The ambient piece unfolds slowly, each instrument taking an extended solo as the song builds to an intense climax. Tubacello's instrumentation opens a lot of interesting possibilities - whether it's providing a ambient canvass on which to build his ideas slowly, or creating deep and effective grooves, the combination works. Malaby took a previous step in this direction with the fine but rather overlooked "Warble Peck" album, with Fred Lonberg-Holm on cello and John Hollenbeck on drums. Adding tuba is a nice doubling down on the concept. A lot of groups lately have been including the tuba as part of the instrumentation, ex Ingrid Laubrock Quintet, others. Wasn't aware of the "Warble Peck" album, going to check that out. Re: tuba - yes, I have been seeing this as well. A nice trend. This sounds rather tasty. Thanks Paul. You can't talk about saxophone/tuba/cello combos without bringing up Arthur Blythe, who has one of the most beautiful alto sounds of all time. Unfortunately Mr. Blythe is suffering from Parkinson's disease and could use some assistance; one way to help is to purchase this live album which features his longtime cohort Bob Stewart on tuba. Actually the Warblepeck album began as a trio with tuba. The tuba player was suddenly and accidentally replaced by the cello.